Warm days are finally here and the sun is more than welcome after the cold,long winter. Cumin seeds are a commonly used Indian spice, with an aromatic distinct taste. When toasted, the flavor is enhanced and adds a lot more punch to a dish. 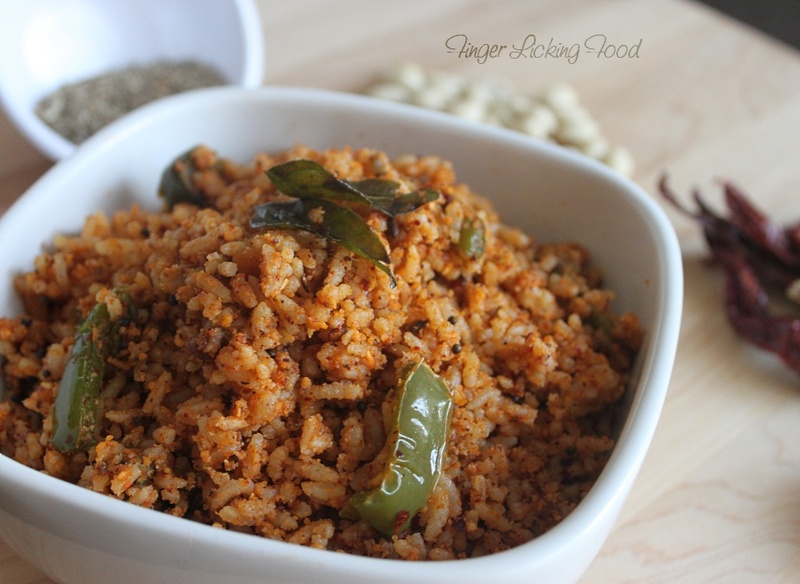 This is a simple rice dish flavored with only four ingredients but with a whole lot to tingle your taste buds. 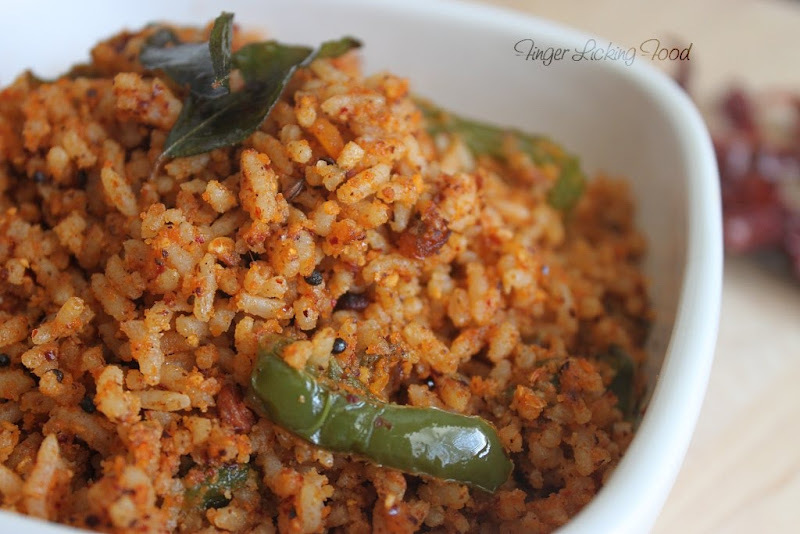 Toast the cumin seeds, dry red chillies and peanuts in a skillet until fragrant. Remove from heat and cool slightly. Grind to a fine powder, add coconut and pulse a few times until combined. Heat oil in a pan. Add the mustard seeds and when it begins to splutter add the urad and chana dals, sauté for a few seconds and then add the curry leaves and bell pepper strips. Cook on medium heat until the bell pepper is done. Now add the prepared coconut and spice blend. 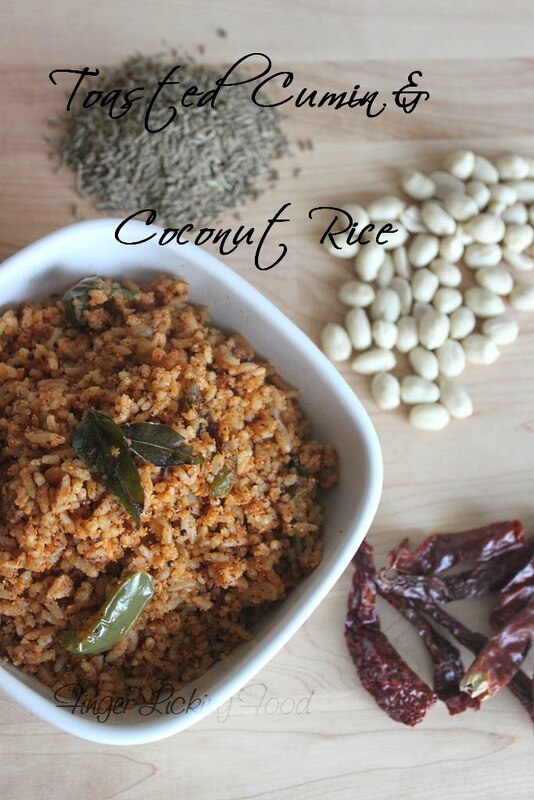 Combine well and sauté for 2-3 minutes until fragrant and the raw smell of coconut disappears. Now add the cooked rice, salt and lemon juice. Combine well, cook for a minute until the rice is heated through. Turn off heat, cover and allow to sit for 5 minutes before serving. The toasted cumin adds great flavor and aroma to this dish. Don't use cumin powder, does no justice to the dish.If you don’t have bell peppers, you can eggplants instead. I can smell the aroma of the rice which looks droolworthy and delicious. That bowl of delicious rice makes me hungry..
WOW love this rice..will try today!! Rice looks really aromatic....Nice color to d rice..